The patriotism of Gibraltarians could see Britain’s nuclear arsenal moved to the disputed territory south of Spain if a victorious Scottish National Party (SNP) force the weapons out of Scotland, according to a top academic. Despite both Labour and Conservatives remaining committed to keeping Britain’s nukes in Scotland, the Ministry of Defence (MoD) has been sounding out alternative locations according to a senior defense source. “A party was sent to Gibraltar in January to determine whether the option could work. One can only assume it’s part of broader contingency planning,” the source told the Daily Express. With growing pressure from the SNP, and the general election looming, the MoD is said to have considered a number of alternative locations for the much-maligned and vastly expensive Cold War era weapon system. Another option floated was Falmouth in the south of England, but the political fallout of putting nukes on the Cornish coast may prove too much for Britain’s increasingly isolated pro-nuclear parties. In the search for a new home for Trident, levels of nationalist ardor may prove to be the decisive factor according to some commentators, and in few places does a love of the nation appear stronger than among those who live outside it. However, Ritchie felt the deal clincher would be pro-British feeling. Ritchie conceded that such a move might well inflame already existing tension with Gibraltar’s Iberian neighbors. Spain also claims Gibraltar as its own, in much the same fashion as Argentina claims the Falklands, and territorial tensions between London and Madrid flare up regularly. Trident’s long term prospects in Scotland look increasingly troubled. 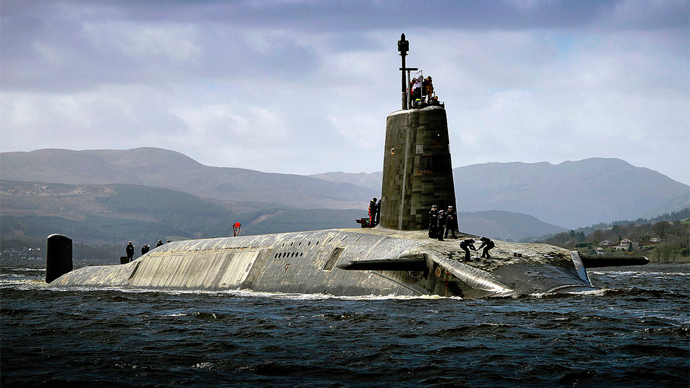 Last week the nuclear deterrent was branded “irrelevant” by the Scottish Trades Union Congress (STUC), which said the weapon system no longer fulfills the needs of Britain’s security forces and faces a marked fall in public support. In a combined report by the STUC and the Campaign for Nuclear Disarmament (CND), the authors ruled that Trident no longer served its initial function, under the Cold War-era policy of Mutually Assured Destruction (MAD). The report argued the greatest threats to UK security (aside from North Korea) no longer possess nuclear weapons.